Brimming with mysterious Mayan ruins, charming colonial towns, verdant rainforests and miles upon miles of enticing beaches, this fascinating region is fast becoming a popular cruising destination. There are seven countries that comprise Central America, and on a Central America cruise, passengers have the opportunity to immerse themselves in the breathtaking landscapes, compelling cultures, and spirited cities that are unique to this relatively diminutive region. Traveling throughout the countries in Central America by land can be time consuming and expensive, but on a cruise to Central America, passengers can take in the best of what the different countries have to offer in one vacation experience. Most of the Central America cruise ports are located in Panama and Costa Rica, with a few other ports dispersed around Belize, Honduras, Guatemala and Nicaragua. 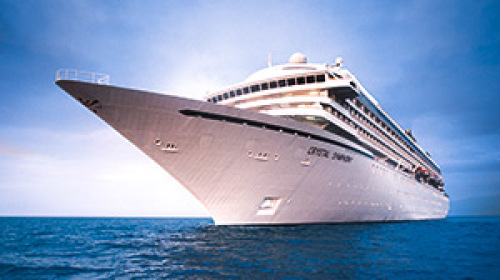 Some Central America cruise itineraries also include ports of call in either Mexico or South America. Given that Central America is bordered by the Caribbean Sea and the Pacific Ocean, passengers can enjoy a different atmosphere, climate and scenery depending on which cruise they choose. Along the Pacific coast, passengers will encounter drier weather and more mountainous terrain, while passengers on the Caribbean coast will find lush vegetation and a more humid, tropical climate. Despite these nuances, Central America is geographically poised to deliver some of the best beach experiences, ranging from tranquil playas to raucous beach parties. 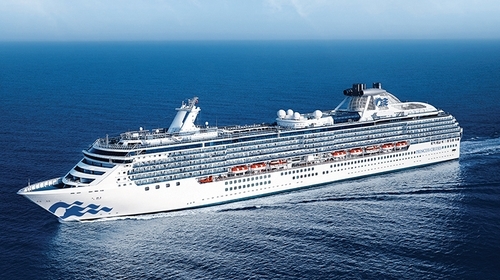 On a cruise to Central America, there is never a shortage of things to do. Passengers can snorkel amid the stunning coral reefs in Belize, or scuba dive with the gentle whale sharks in Honduras. In Costa Rica, passengers can explore the cloud-shrouded forests and enveloping mangroves in Puerto Quepos, and they can browse through the colorful artisan markets in Nicaragua. For passengers keen on glimpsing awe-inspiring structures, Guatemala has magnificent Mayan ruins in Tikal, while Panama is famed for its canal, a man-made engineering marvel that connects the Pacific and Atlantic oceans. Central America cruises are available year-round, but the best time to go on a cruise to Central America is from November to April, which is generally considered to be the dry season. For Central America cruise deals, look for sailings during the wet season; even in the midst of the wet season, day-long rains are uncommon.